These are disturbing words from the Catholic Church’s most senior official. 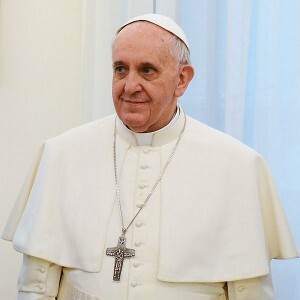 By putting religion above freedom of expression and by portraying violence as a “normal” reaction when religion is mocked, the pope used shocking and irresponsible language just days after the Charlie Hebdo massacre. Reporters Without Borders reminds him that eight journalists were killed in cold blood on 7 January just for using their freedom of expression. Reporters Without Borders also points out that the only limits on freedom of expression are those established by the law. It is not the job of religious leaders to define the limits to free speech. And it is dangerous for any moral or religious authority to defend violence as a response to the use of the freedom of expression.